FLACS was developed in close cooperation with and support from the oil and gas industries. FLACS has been extensively validated against experimental data and is a preferred consequence prediction software due its ability to model the the intial explosion and near field spatial effects. 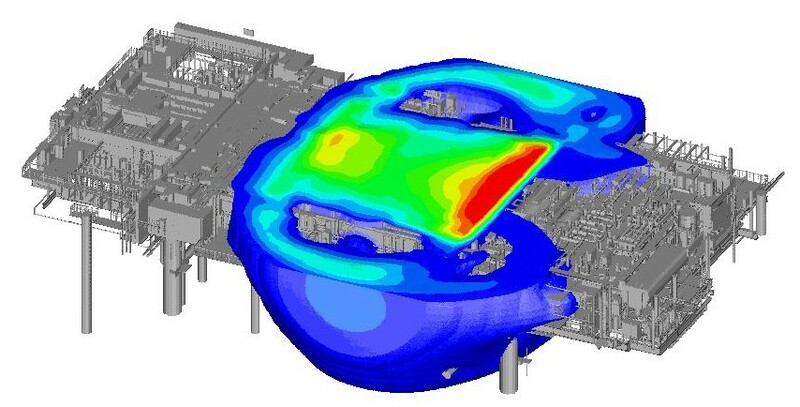 Safety studies for the oil and gas industry represent a signficant segment of the simulation services performed with FLACS by GexCon. This is in accordance with and required by various standards, such as ISO 13702 "Petroleum and natural gas industries - Control and mitigation of fires and explosions on offshore production installations - Requirements and guidelines". 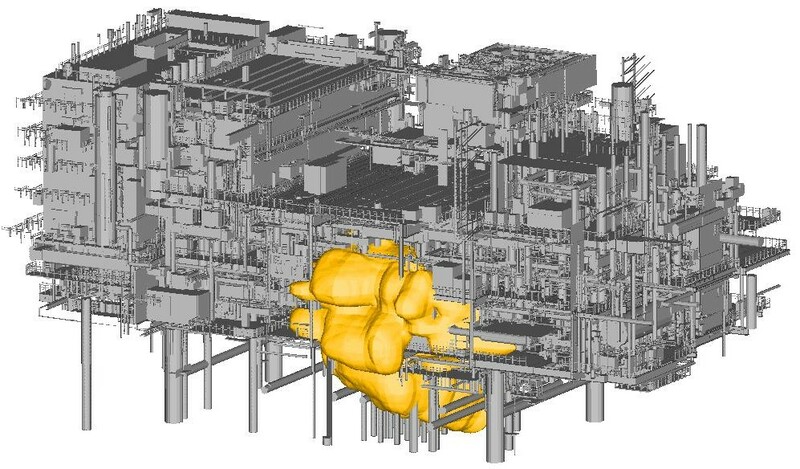 Due to the geometrical complexity of many offshore and onshore plants, gas explosions are complex events that may be accurately evaluated only by performing detailed CFD analyses, e.g. using FLACS. An identification of hazards related to gas explosions should therefore be based on the application of such tools. The figures below illustrate some of the capabilities of FLACS.